“When I first visited Fairfield Park I was very impressed with the level of security. As my family were planning to emigrate I decided that a home here would be a great lock up and leave. Matt and the team made the purchase and move very easy, organising things, like the TV satellite dish and garage. All my visitors have commented on how well kept the park is with a very open feel. “Following some years of deliveration, my wife and I made the decision to downsize our place of residence. 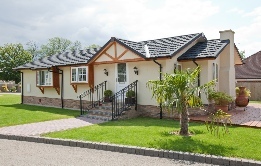 Two bedroom bungalows in the Worksop area proved relatively poor value for money and although it as a big step to move from bricks and mortar to what is basically a timber framed building, we eventually opted for a park home. The next major decission was to find a suitable site and after many miles travelled and several sites visited, we chose a plot on Fairfield Park. The site is well laid out, very private and quiet, immaculately kept with full mains facilities (including gas) and close to local amenities with no hills to negotiate. The owners and staff are most pleasant and very helpful. “After 2 years looking at Park home site particularly in Yorkshire we stumbled on Fairholme Park here in North Nottinghamshire. We were impressed how well kept it was and how close amenities were to the park. On meeting the owners we were pleased how helpful and friendly they were. We found out it was a family concern and most of them were also residents which gave the site a personal touch. We bought our new home in November 2009 and have been extremely happy here. “Having been a resident on Fairfield Park for the last eight years, I find it a very agreeable place to live. Being on the outskirts of a small town the site has a rural atmosphere, but has the facilities of shopping, medical and banking within level walking distance. Since all the residents must be over 50, this is a good thing. Larger neighbouring towns can be reached by a good bus service. Nottingham is about an hour away. “I have resided on Fairholme Park for the past 23 years, most of this time with my late husband, John. During all of this time the park has been owned by the Hibbs and Gentle families. Currently it is run and owned by Mr Matthew Hibbs Snr, together with his brother, Mr Henry Hibbs Snr, grandsons of the late Mrs Olive Gentle who ran the park when I was first in occupation. Maureen and Ian moved to Fairholme Park, Ollerton in December 2014. Moving here from West Sussex has been a dream come true. “I have lived on this park now for the past two years, moving here from the north of England to be near my daughter. 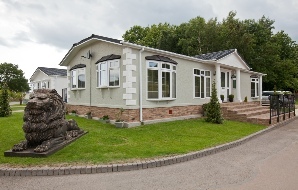 The site is nicely laid out and very well maintained, both the owner Mr Matt Hibbs and his staff are always around to give help and advice when needed. “We took up residence on Fairfield Park in March 2016 having first decided in 2012; after a protracted search and meeting one of the owners, Matt Hibbs, that this was the Park for us. It was obvious from the outset that this was a Park of superb quality. The location, layout and atmosphere of the Park are exceptional. The friendliness and assistance of residents, Park Home staff and Matt himself generate a real feeling of community and security. “A little while ago we were living on the edge of Dartmoor now we are living on the edge of Sherwood Forest. 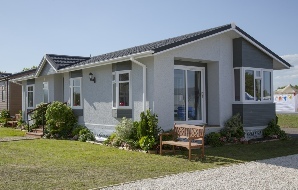 As soon as we visited the park we liked it and soon found a home we wanted on Fairholme. So it was time to pack, move and finally unpack. It is a great location, all located amenities are within walking distance and a good base to visit loads of new places. The Tredegar park home range has already proved to be extremely popular and is acclaimed as one of the finest 'value for money' homes on the market. Commissioned specially for Hibbs Park Homes we have a beautiful Stately Albion Badminton show home to be located on plot 10 Fairfield Park shows of the very best in new park home design. “We moved onto the park in November 2018 and were made to feel very welcome. The park is kept to a high standard. The owner Mr Matt Hibbs and his staff are all very friendly, approachable and nothing is too much trouble. 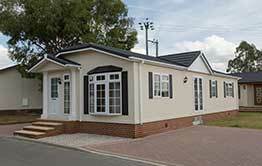 The park is in a excellent location in a peaceful and quiet part of Ollerton which has plenty of amenities.